This tour includes visits to only small production wineries (600-3000 cases). The winemakers you will visit are often small private producers committed to their craft mainly for family and friends. We promise you an up close and personal experience with local wine families who grow, tend, and harvest the grapes themselves before making their own wine. This tour requires exclusive booking of one of our open air Jeeps that accommodate from two to seven people. Our Off the Grid Wine Tour typically lasts 5 hours, depending on your pick-up location. 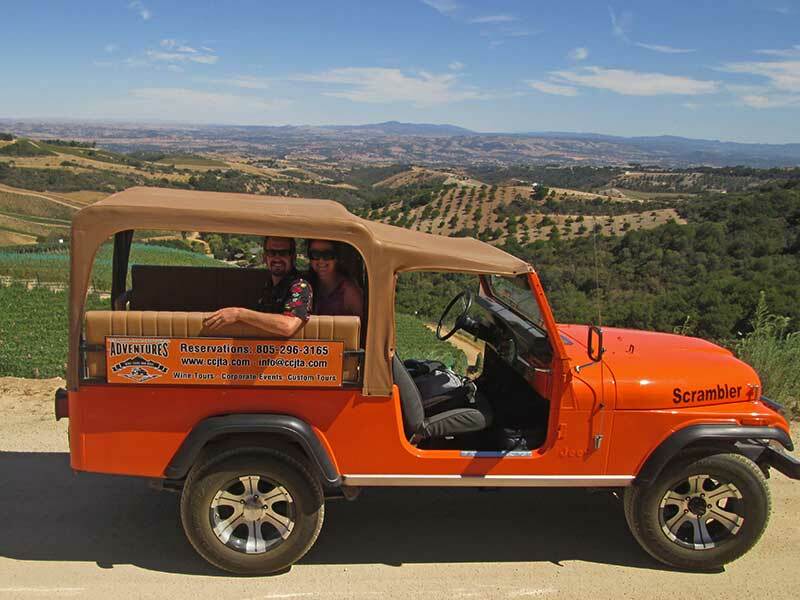 If you are looking for a more customized Paso Robles wine tour experience with a little less or additional time, please don’t hesitate to contact us.